Some posts from our past! Congratulations to all of our Family Class participants on an excellent demonstration on Saturday, March 25, 2017. We are so proud of these young and dedicated students. 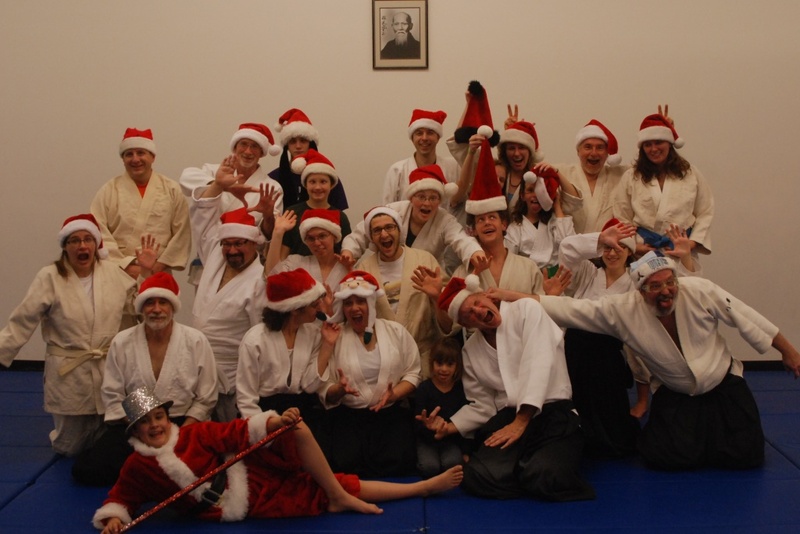 It's a joy to have them in our dojo! Congratulations to our Family Class Participants! Congratulations to our Family Class participants who demonstrated their skills on April 16, 2016! Our second annual Women Instructors Seminar on Saturday, February 20, 2016 at Open Sky Aikido in Hillsborough was another huge success! Thanks to everyone who joined us for a day of great Aikido with six instructors from across North Carolina and the east coast! 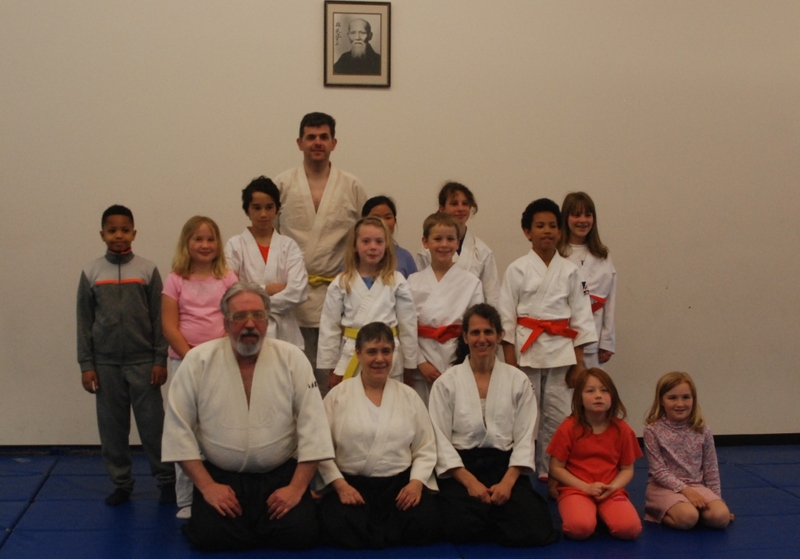 We had students from TEN different dojos in three different states and we all had a huge amount of fun. Looking forward to next year! 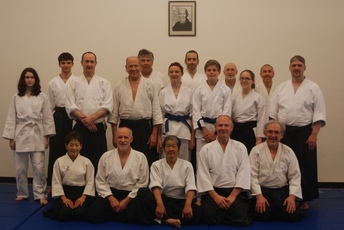 Many thanks to Greg Noble Sensei, Chief Instructor of Zenshinkai Aikido Association, for making the trip from West Virginia to teach us Aikido and Zen meditation. We appreciate the efforts of Hiroshi Tajiri of Seibukan Dojo in Raleigh to plan the weekend's event and to show us some new weapons kata. Check out our Upcoming Seminars and Events page for information on Noble Sensei's January 2016 seminar with Bill Bunn Sensei at Joshinkan Dojo in Raleigh. The First Annual North Carolina Women's Seminar on June 28-29, 2014 was a great success! Greensboro Kodokan Aikido and Triangle Aikido co-hosted the event that brought together 18 women from across the state for two days of energetic, fun, focused training. 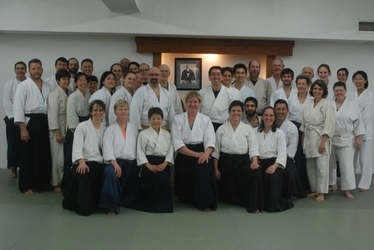 Our five instructors (front row l to r) -- Takiko Noehl, 4th dan, Seibukan Aikido; Charlene Reiss, 4th dan, Triangle Aikido; Katie Haywood, 3rd dan, Open Sky Aikido; Krista Kasdorf, 2nd dan, Raleigh Aikikai; and Leslie Kausch, 4th dan, Greensboro Kodokan Aikido -- provided training in a variety of styles on the theme of "Soft Power: Aikido without Injury." While everyone greatly enjoyed the opportunity to work with more female Aikidoka, the group emphasized that most of their male dojo-mates were disappointed to miss the training with different instructors. Stay tuned for information on a future seminar with the same instructors -- this time open to all students! Looking for one activity that meets all of your new year's resolutions to exercise more, meet new people, and reduce stress? 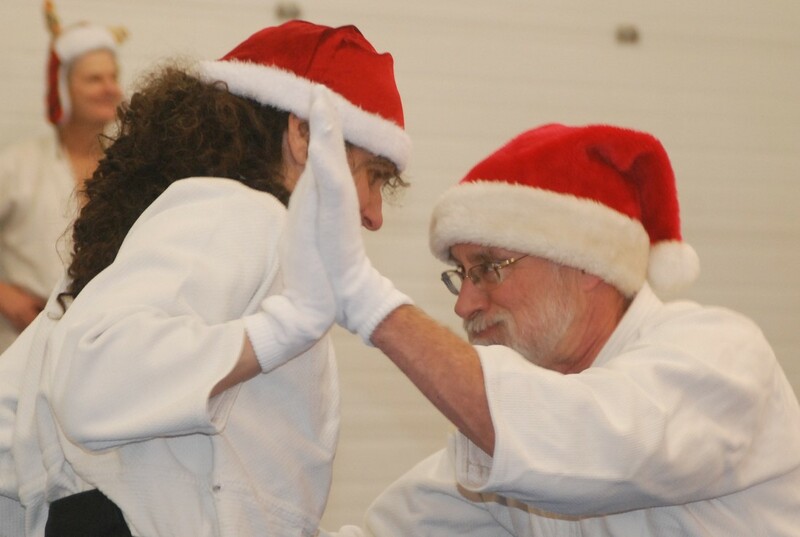 Aikido is a lifelong learning endeavor that offers all that and more! 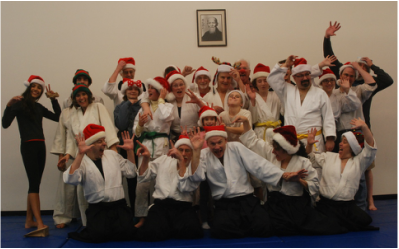 Aikido is an opportunity to teach your body and mind in a fun, challenging, supportive environment. Stop by the dojo during any class to find out more! We're always happy to chat with visitors and introductory lessons can be scheduled at any time. 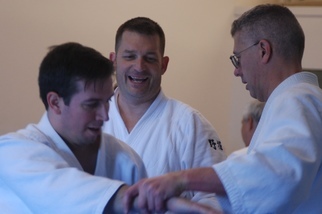 Come try our three introductory lessons and see for yourself how much fun Aikido can be. No commitments -- just three one-hour one-on-one lessons. Easy-peasy. Come see us!